So you’ve read up on all the best gear for podcasting, but you’re not exactly sure how to tackle marketing your show? There are countless strategies talked about out there, but we at Trint find there are three essential things you should implement into every episode to drive growth. 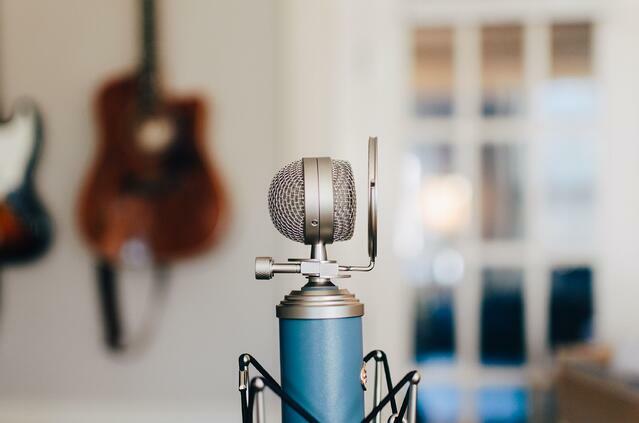 Here’s a breakdown of the ways the most successful podcasts encourage growth after the content’s been created and show you how you can implement similar strategies to make your podcast a glowing success. It should go without saying, but the easier it is for listeners to follow along with your podcast, the more likely they are to be involved long-term. While this isn’t exactly a tool itself, there are some clever ways you can implement these tricks using free software like Audacity or GarageBand. Compress the audio to level out the volume. All major audio editing software comes with a feature that compresses the lows and highs of a recording so that those moments are closer to the average volume. Save your audience’s eardrums and patience with a quick compression. Take out that white noise. All recording equipment catches some amount of white noise. Thankfully, removing it is very simple in most editing software and it adds a professional-quality sound to your recordings. Record guests separately. Variations in volume and talking speed can be a pain for listeners and are difficult to adjust when both voices are recorded on the same file. Have your guest record themselves or give them a dedicated mic and audio file to make it much easier to balance out your volume differences. A few editing tricks go a long way in how listeners engage long-term. Google’s smart, but it’s not yet able to scan audio files, which means you can’t simply publish your podcast and expect it to show up in search engine results. However, with just a dash of proactivity you can quickly increase your podcast’s page rank; not only that, but this trick is efficient and cost effective: creating podcast transcriptions. Podcast transcripts also allow visitors to look over the episode to see if it’s relevant to them. And the more time they spend scanning your transcript, the longer they spend on each page, and the more valuable Google sees your content. The thing is, transcribing your own work is time-consuming and tedious. Outsourcing the work can be expensive. Your best low-effort and low-cost solution is A.I.-powered transcription software, like Trint. Our bots create transcriptions of your episodes in less time than the original recording, our editor enables you to make any needed changes quickly, and our platform makes it easy to share and publish the transcriptions. You can even easily add timestamps and speakers to the transcription. Growth doesn’t start and stop with each episode. Offer opportunities for engagement outside of your regular posting schedule and transform your listenership into a community. Feed that feeling of friendship and communal participation by creating a means for listeners to interact and discuss the content together. Let’s take a look at some Facebook groups from podcasts that are thriving. The Copywriter Club - Aspiring and experienced copywriters can discuss business strategies, approaches to writing marketing materials, and vent about troublesome clients in this tight-knit community of 6,800 members. Side Hustle Nation - Over 8,100 podcast listeners discuss weekly topics, encourage each other on their side hustle ventures, and share success and failure stories. She Podcasts - Listeners discuss podcasting tools, editing techniques, and marketings strategies in this women-only group with 8,000+ members. Don’t allow your podcast episodes to be a one-and-done event. Unravel the content in fun ways within a Facebook group, engage your listeners, and create a following that’s solidified by the community. Which of these tips should you implement first? It’ll take Google some time to index your podcast, so get started with the SEO-friendly podcast transcriptions as soon as you can. Shoot us an email at support@trint.com and we’ll show you how you can get those taken care of in no time.